WORKNOT on the move....: Time in La Cruz, Las Vegas and back at sea!!! Upon our arrival in La Cruz we made plans for a 2 week visit to our Las Vegas condo to do what folks of our vintage do….Go see a long list of doctors and the tax man. Wow was I ever looking forward to that trip. Not sure which poking and prodding is worst, the Dr. or the taxman……. While we were scheduled to be away arranged to have our mast painted and the boat waxed. Dennis of Sea Fox volunteered to keep on eye on the work and it seemed like a good plan. The wax was to take 3 or 4 days and the paint 4 days max. It was my job to get the paint. The painter said to find the paint (2 part epoxy) located here. After a little excitement including a power outage for the entire block in Bucereas preventing them from producing a bill, finally got the paint and materials together. So far so good and we left on our trip. Flying Keela back to the US on Delta cost $400 even with her as a carry on bag. Just a few $ less than my ticket round trip. No issues getting her back into the US as we had all the required paperwork and her Mexico exit certificate. No one checked at customs but all the customs workers wanted to pet her. One of the many Dr. visits in Las Vegas included a trip to the ophthalmologist for me to have some special procedures associated with my diabetes and a routine visit for Mary. This was suggested by the Costco in Puerto Vallarta where she got new glasses. My visit went fine but the Dr. confirmed Mary had a real issue. I’ll report here for any readers who might be putting off a eye exam especially as you age! Mary was diagnosed with closed angle Glaucoma. In my lay terms about 10 % of the population with get Glaucoma if you live long enough and about 10% of those will have closed angle. It is related to the pressure in the eye, hence the PUFF test we all flinch from, and too much fluid causes the damage to the optic nerve. 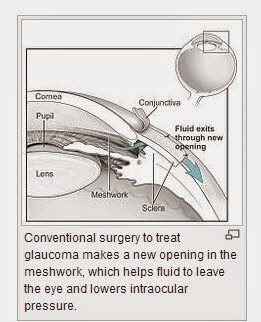 Glaucoma can be roughly divided into two main categories, "open-angle" and "closed-angle" (or "angle closure") glaucoma. The angle refers to the area between the iris and cornea, through which fluid must flow to escape via the trabecular meshwork. Closed-angle glaucoma can appear suddenly and is often painful; visual loss can progress quickly, but the discomfort often leads patients to seek medical attention before permanent damage occurs. Open-angle, chronic glaucoma tends to progress at a slower rate and patients may not notice they have lost vision until the disease has progressed significantly. Mary did not have any discomfort and it was a complete shock to us. Treatment was straight forward, laser relief of the openings in the eye that allow fluid to drain followed by a week of observation. She will have the other eye done this winter as a preventative measure. This added a week to our land time. One final note, after 3 weeks in Las Vegas, without any work and without any plans, its clear we would go nuts without the boat or something to occupy our minds. So, cruising, often defined as working on your boat in exotic locations, seems to fit us well. Dennis did a great job with the painter and his crew but since I was not there to push our job got pushed back as “urgent” jobs made it to the front of the line. After 3 weeks the mast work was finally done (thanks again Dennis) but no work on the wax job since Aron was waiting for the painter to finish. Sounds just like a normal construction project but was disappointing to return to the boat a mess. For the next week we watched Aaron arrive each morning and work until almost dark waxing and detailing WORKNOT. Without a doubt, the best wax job we ever received. His attention to detail paid off and the end result was outstanding. I will be hard pressed to keep it up to the level he left me. Aaron is also a good resource for any needs and is highly recommended . He helped us figure out our Mexican cell phone, wireless internet device call Banda Acha and much more. We finally left La Cruz, headed north to Mazatlan on March 29th. Anchoring overnight at Punta Mita we got an easy start (8:00am) to Mantenchen Bay (21.31.8 x 105.14.38 W) about 60 miles north. Fishing was slow but we managed to catch 2 Skipjacks and return them alive. Just outside Mantenchen Bay we caught a yellow tail and had fresh fish for dinner. Our fish identification skills are growing but could use a good guide. If not a yellow tail it was still delicious eating. XM Sat radio is great to have on board and we got to listen to my Kentucky Wildcats make it to the finals of the sweet 16 while offshore. Without TV, radio has become an important place to get information and can only imagine what a thrill it was to get radio back when it first reached rural America. We arrived at Mantenchen Bay around 4 pm well rested. We could have continued on as weather was very good, 10 kt breeze and warm. Long swells of 2-3 feet 15 seconds apart. After resting for the next day we departed for Mazatlan at 2:35pm on 3/31/14. This trip will be 135 miles and 19 hours. We plan to arrive in Mazatlan around 9:30am. Timing a departure to arrive at daylight, with some room for delay is always the best. Will move the water lines when we get some parts from the US. Making the duct included a trip to a Home Depot where you can get lumber cut to size for 8 pesos ($0.05) per cut. Pretty fair price and the young man running the saw quickly realized what I was building and squared up the ends and made sure the plywood end cap fit perfectly. The fan is an automotive radiator fan slaved to the existing engine room fan system. This keeps it linked to the on-board firefighting system which shuts down the fans in case of fire. The fan is automotive radiator fan controlled by a relay slaved to the existing ER fans. This keeps it in the shutdown circuit of the onboard fire fighting system to shut the fans down in case of an onboard fire. Will move the water lines when we return to the US and get the needed fittings.